The twins will spend months receiving specialized rehabilitation care but will continue to see Montefiore doctors who separated them. 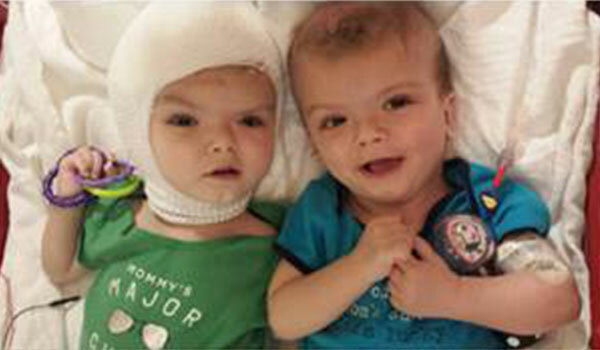 “Jadon and Anias continue to surprise us every day,” says Dr. Goodrich. Learn More. The American College of Surgeons National Surgical Quality Improvement Program has recognized the Department of Surgery at Montefiore as one of 60 participating hospitals to achieve the College’s distinction of meritorious outcomes for surgical patient care nationwide. “Our rigorous attention to detail and supremely talented surgeons continue to deliver excellent patient care,” says Robert E. Michler, MD. Michael Thorpy, MD, Director, Sleep-Wake Disorders Center, Montefiore discusses how sleep, or the lack of adequate quality sleep, affects our bodies and minds. “The sleep-wake cycle has an important impact on all organ systems,” says Dr. Thorpy. “We can’t minimize the fact that the sleep-wake pattern has effects on the whole body, not just the brain." Learn More.